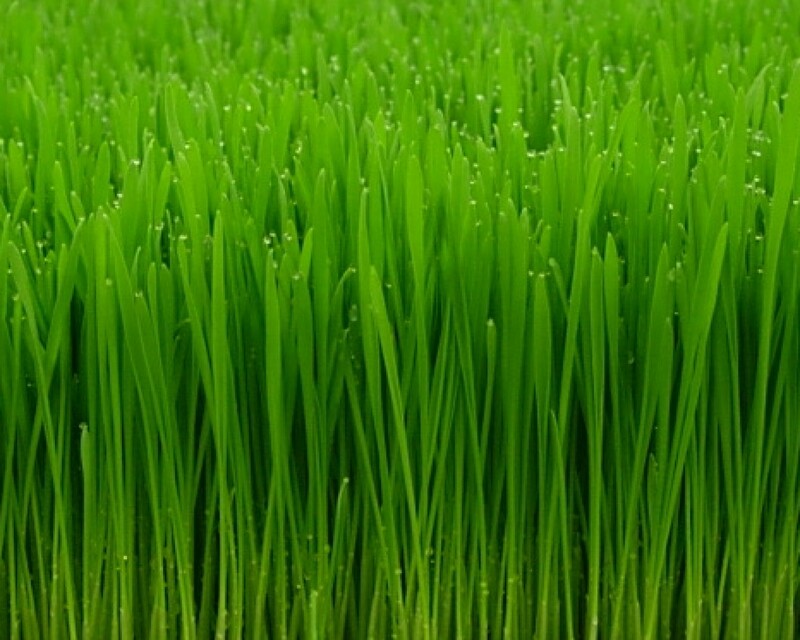 Wheatgrass is a kind of grass. 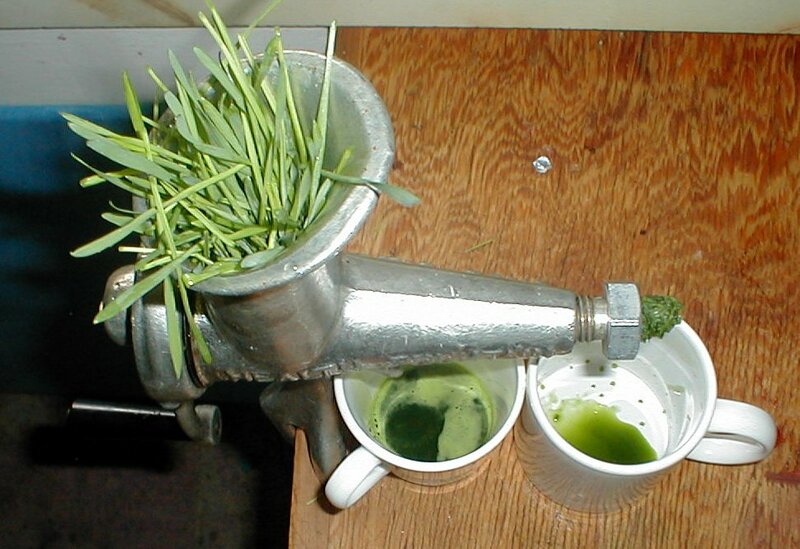 Wheatgrass is primarily used as a concentrated source of nutrients. It contains vitamin A, vitamin C, and vitamin E, iron, calcium, magnesium, and amino acids. 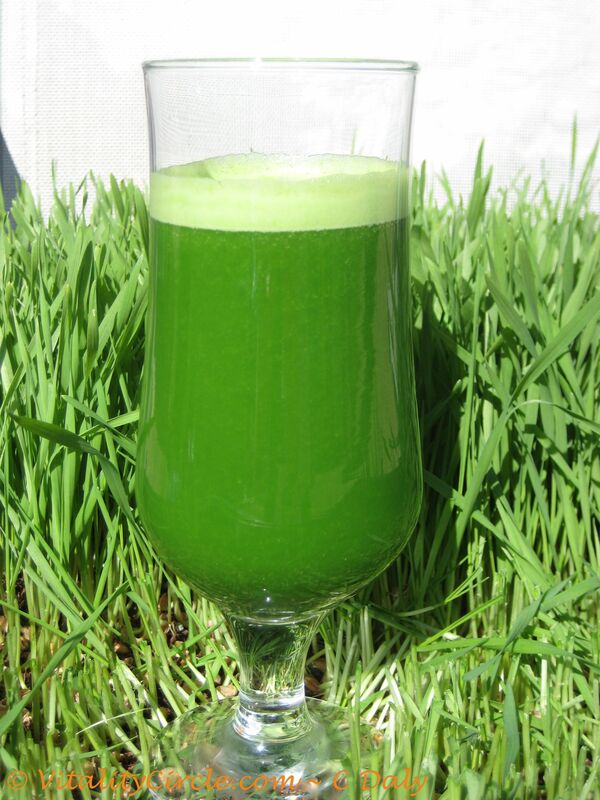 Wheatgrass juice is a popular health drink. It is thought to benefit health only when fresh and taken on an empty stomach immediately after extraction. Stimulates the thyroid gland, correcting obesity. Is a powerful detoxifier, and liver and blood protector. Increases red blood-cell count and lowers blood pressure. Externally applied to the skin can help eliminate itching almost immediately. Contains beneficial enzymes. Whether you have a cut finger you want to heal or you desire to lose five pounds…enzymes must do the actual work. The life and abilities of the enzymes found naturally in our bodies can be extended if we help them from the outside by adding exogenous enzymes, like the ones found in wheatgrass juice. Don’t cook it. We can only get the benefits of the many enzymes found in grass by eating it uncooked. Cooking destroys 100 percent of the enzymes in food. Will soothe sunburned skin and act as a disinfectant. Rubbed into the scalp before a shampoo, it will help mend damaged hair and alleviate itchy, scaly, scalp conditions. Works as a sleep aide. Merely place a tray of living wheatgrass near the head of your bed. It will enhance the oxygen in the air and generate healthful negative ions to help you sleep more soundly. Sweetens the breath and firms up and tightens gums. Just gargle with the juice. Turns gray hair to its natural color again and greatly increases energy levels when consumed daily. Is a beauty treatment that slows down the aging process when the juice is consumed. Wheatgrass will cleanse your blood and help rejuvenate aging cells, slowing the aging process way down, making you feel more alive right away. It will help tighten loose and sagging skin. Wheatgrass contains chemicals that might have antioxidant and anti-inflammatory (swelling) activity, which is why some people think it might be helpful for ulcerative colitis. It also contains a chemical that seems to kill bacterial infections. If you found post helpful Please like and share this amazing information with others!!! Previous post: See Amazing Home Uses Of Epsom Salt!